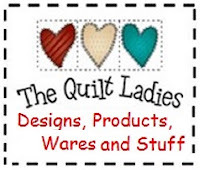 The Quilt Ladies: Happy Quilt Pattern Block for YOU ! Happy Quilt Pattern Block for YOU ! Want to make me HAPPY ! Pull out a quilt I made in front of me ! Nothing make's me HAPPIER ! This is the seating at Grand #3's soccer game. It's his Daddy's VERY old quilt. I think it is about 15-18 years old... I machine pieced and had it long arm quilted. The pattern is drafted for you here too ! ! Cut 4 Pink - 4 1/2" x 4 1/2"
Cut 2 Purple - 6 1/2" x 2 1/2"
Cut 1 Purple - 14 1/2" x 2 1/2"
Cut 4 Gray - 4 1/2" x 2 1/2"
Cut 4 Gray - 6 1/2" x 2 1/2"
I did 5 blocks across and 6 blocks down, 30 total blocks. Simple 2 inch border, quilt and binding. We love this quilt and now it's moved to the "soccer quilt!" I love the pattern and the way you quilted it is really different! Not usually a fan of this color but I like how it came together in your quilt! B. Annie Quilt Pattern for YOU !